Glass shower is now an integral part of the modern interior. Light and transparent visually, a glass shower cubicle perfectly fits into your bathroom, giving you new opportunities for interior design. The rich selection of glass designs will satisfy the most demanding taste: transparent, white, and colored, matte, and sprayed, tinted, and patterned. Coating with special paints allows you to apply any drawing at the request of the customer. 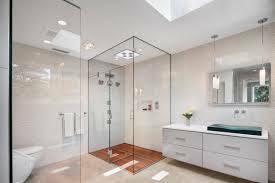 The installation of a glass shower door is the most durable, convenient, and aesthetic way to protect the space of the bathroom from the water splashes. Such a design can last 50-80 years without changing the appearance, and the variety of techniques of decorating allows its harmonious combination with a room of any color and style. The company GIOVANI GLASS is a leader in the manufacture of stationary and sliding glass doors. Despite an imaginary fragility, a glass shower cabin is capable of withstanding temperature fluctuations, blows, and accidental scratches. 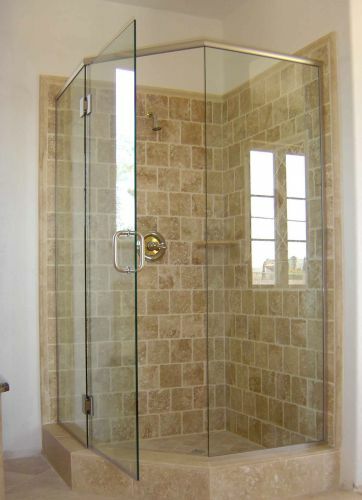 The strongest glass type is the tempered glass, which is most often used for shower doors. This material is functional, aesthetic and hygienic. The last quality is especially important considering the specifics of the bathroom. The panels are moisture-proof and do not deform even with prolonged use. The glass in the shower cabin is easy to wash, resistant to household chemicals, does not dim. To create an antibacterial effect on it you can apply a special spray. The specially treated edges of the panels and glass doors of the shower cabin will protect consumers from cuts and scratches.